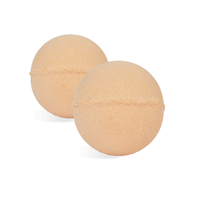 Our new Shea 50 is perfect for use in bath fizzies. 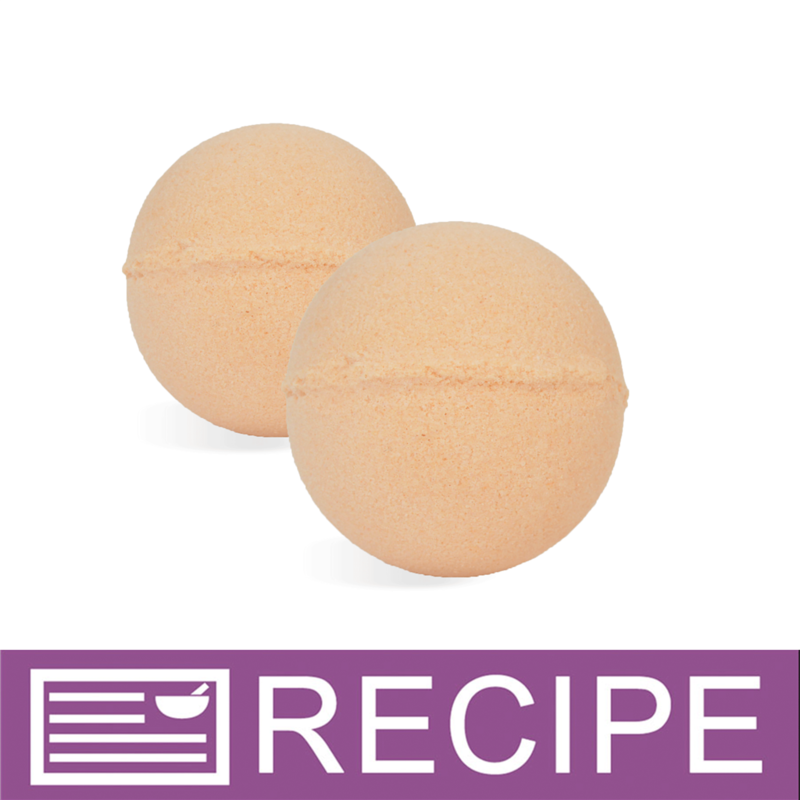 No melting, easily incorporates into the powders to add just enough liquid to form the bath fizzies. Relax and enjoy! NOTE: If you are making these products for sale, good manufacturing practices recommend you wear a hairnet and latex gloves. We also recommend a clean apron and workspace. To mixing bowl, add baking soda, citric acid, arrowroot powder, and orange powder and mix well. Drizzle Shea 50 and fragrance over powder mixture and mix well. Mound mixture into both mold halves and then press together. Set aside on bubble wrap. Repeat to make other two bath bombs. Let harden for at least two hours until hard. WARNING: Shea 50 may make tub slippery. Caution should be taken when entering and exiting bath. To Use: Place under running water in bath and watch it fizz. Ingredient Label: Baking Soda, Citric Acid, Arrowroot Powder, Shea Butter, Fragrance, Yellow 6 Lake. 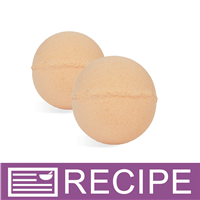 "I PURCHASED THIS AND I'M VERY NEW TO MAKING BATH FIZZIES. SO I WAS WONDERING WHAT DOES 0.10 OZ EQUAL TO IN TEASPOONS, BECAUSE I CANT FIND IT. AND DOES 02.5 OZ EQUAL 1 1/2 TEASPOONS? THANK YOU "
Staff Answer The 0.10 and 0.25 oz. should be weighed. That is the most accurate way to be sure a recipe turns out correctly. Each ingredient also weighs different so a teaspoon of arrowroot powder will weigh differently than citric acid. The ingredients for this recipe were weighed and do not transfer well to teaspoons. "Do we have to add polysorbate 80 when using shea 50? " "Can slsa be add to this recipe, if so how much?" Staff Answer You can add Lathanol Powder to this recipe. You can try adding .50 ounce to the recipe. This will also give you more bath fizzies than what is listed. "Should the Shea 50 be warmed before adding to mixture? I followed this recipe to a T and after mixing in the Shea 50 it turned into a strange texture, sort of like crumbled Styrofoam, and I couldn't mold the bath bombs. The entire batch could only be used as bath bomb crumbles. Any idea what went wrong? " Staff Answer It sounds like too much Shea 50 was added. The Shea 50 will give it a different texture but can easily be molded into the bath fizzy molds.